The shot put is a track and field event involving "putting" a heavy spherical object—the shot—as far as possible. The shot put competition for men has been a part of the modern Olympics since their revival in 1896, and women's competition began in 1948. At the 1936 Summer Olympics in Berlin, 29 athletics events were contested, 23 for men and 6 for women. The program of events was unchanged from the previous Games. There was a total of 776 participants from 43 countries competing. Poona Piagapo, officially the Municipality of Poona Piagapo, is a 4th class municipality in the province of Lanao del Norte, Philippines. According to the 2015 census, it has a population of 27,018 people. Ann-Kristin "Kikki" Danielsson is a Swedish country, dansband and pop singer. Sometimes, she also plays the accordion and she has also written some lyrics. She is also famous for yodeling in some songs. Kikki Danielsson gained her largest popularity in the Nordic region from the late 1970s until the late 1990s. She also gained popularity at the US country stage during the 1980s. In 1986, she had the "Kikki i Nashville" TV show. Sulo Nurmela was a Finnish cross-country skier. He won a gold medal at the 1936 Winter Olympics in the 4×10 km relay and served as the Finnish flag bearer at those games. Kalle Jalkanen was a Finnish cross-country skier who competed in the late 1930s. He won a gold medal at the 1936 Winter Olympics in Garmisch-Partenkirchen in the 4 x 10 km relay. He won the relay along with Sulo Nurmela, Klaes Karppinen and Matti Lähde. 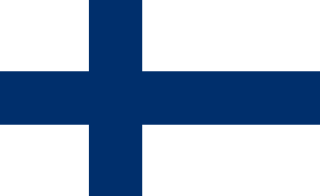 Finland competed at the 1936 Summer Olympics in Berlin, Germany. 108 competitors, 103 men and 5 women, took part in 70 events in 14 sports. The Men's Individual Road Race at the 1952 Summer Olympics was held on 2 August, the 2nd last day of the Olympics on an 11,2 km course running counter-clockwise from Käpylä through Pakila and Maunula and back to Käpylä. The course was circled seventeen times, so the total length of the competition was 190,4 km. About half of the road was hard-surfaced, the other half sand-surfaced. Trampled – The Elefant Traks Remix Album by various artists is the first compilation remix album via Australian hip hop label, Elefant Traks, and was released in August 2006. The label's artists remixed tracks by fellow label mates from the previous eight years. Shkrel is a former municipality in the Shkodër County, northwestern Albania. At the 2015 local government reform it became a subdivision of the municipality Malësi e Madhe. The population at the 2011 census was 3,520. Since 2015, Shkrel is part of the Shkreli Regional Nature Park. The Diamond Dogs is a Swedish rock band founded in Katrineholm during the early nineties by vocalist Sören 'Sulo' Karlsson and guitarist Anders 'Boba' Lindström. Gunnar Richard Bernhard Bärlund was a Finnish heavyweight boxer who won the European amateur title in 1934. He competed in the 1932 Summer Olympics, but lost in the first round to the eventual winner Santiago Lovell. Sören "Sulo" Karlsson is a Swedish vocalist and songwriter, most known for being the frontman of the rock band The Diamond Dogs. In 2013, he started the English power pop band The Crunch, together with Dave Tregunna on bass, Mick Geggus on guitar, Swedish Idde Schultz (Docenterna) and Terry Chimes on drums. The Bitter Twins is a Swedish rock band composed of Sören 'Sulo' Karlsson and Anders 'Boba' Lindström, the duo released their debut album Global Panic! in 2009. The marathon at the 1952 Summer Olympics was held on 27 July on a course running from the Helsinki Olympic Stadium to Korso, Vantaa and back. The full length of the road was hard-surfaced. Sulo Jääskeläinen was a Finnish skier. He was born in Viipuri. He participated at the 1924 Winter Olympics in Chamonix, where he placed 11th in ski jumping and 16th in Nordic combined. Sulo Artur Salmi was a Finnish gymnast who competed in the 1948 Summer Olympics. Sulo Leppänen was a Finnish wrestler who competed in the 1948 Summer Olympics. Sulo Aittoniemi was a Finnish politician who was an MP between 1987 and 2003. Sulo Vaattovaara is a retired Swedish footballer of Finnish descent. During his club career, Vaattovaara played for Gällivare SK, Hammarby IF, IFK Norrköping and IF Sylvia. He made 6 appearances for the Sweden national team. He also competed in the men's tournament at the 1988 Summer Olympics. Sulo Heino was a Finnish athlete. He competed in the men's hammer throw at the 1936 Summer Olympics. Sulo Johannes Teittinen was a Finnish engineer, civil servant, farmer and politician. He was a Member of the Parliament of Finland from 1939 to 1948, representing the National Progressive Party.